With arrowhead-shaped leaves, this plant produces a white flower that blooms all summer long. Grows 2-3′ with a running spread and is suited for any water garden. Reproduces rapidly after seeding. 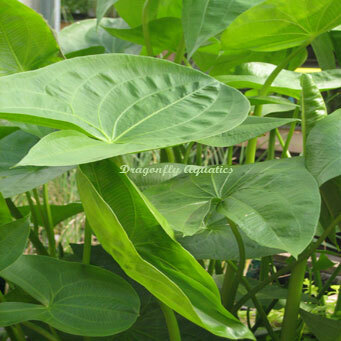 Grows in sun to part shade in moist soil or water to 6 inches or more deep.